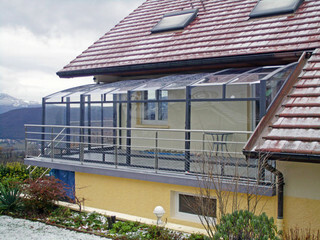 The most favorite terrace enclosure is CORSO PREMIUM – this model combines unique sliding system in a sleek design, aluminum frame, polycarbonate in top of enclosure and safety glass CONNEX 33.1 in the vertical walls. 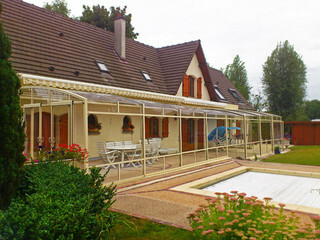 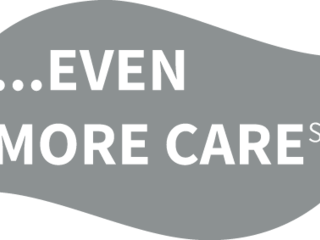 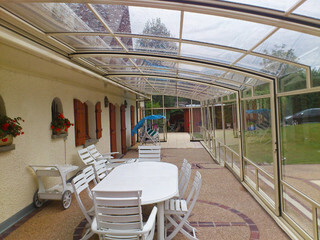 It is an improved sibling of winter gardens and pergolas you can use all year round. 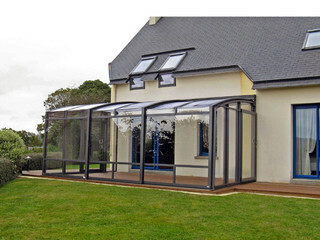 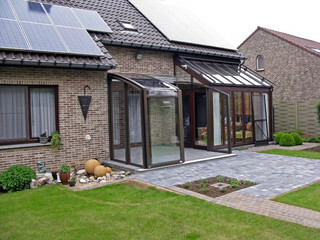 Patio enclosure CORSO Premium slides easily and therefore in the summer, you will not be trapped in poorly ventilated greenhouse, that cannot be opened and in winter you will have a place to use or to store garden furniture. 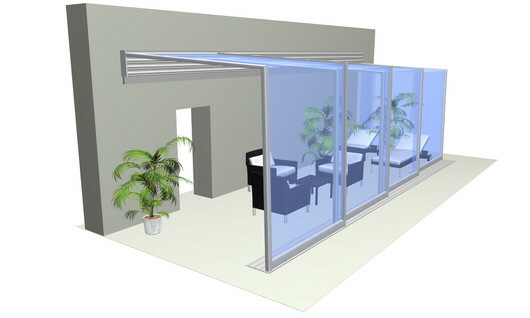 Exclusive Panorama glazing brings you view without a restriction. 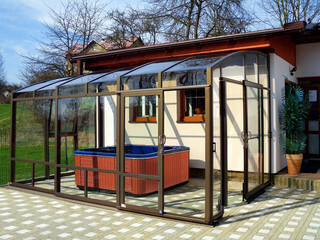 Safety glass CONNEX 33.1 offers easier maintenance and longer lifespan. 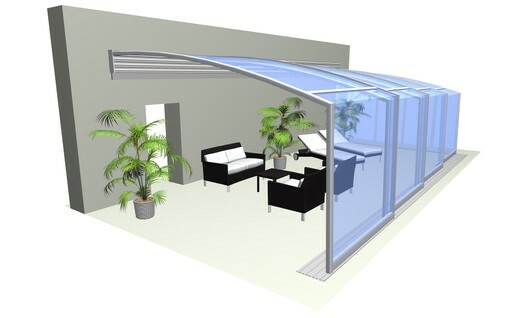 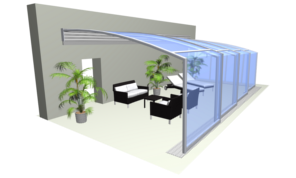 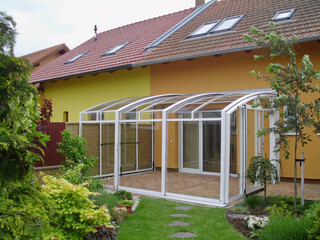 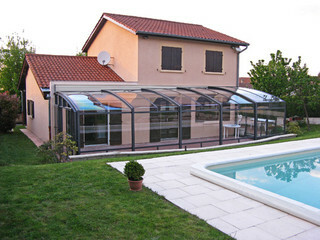 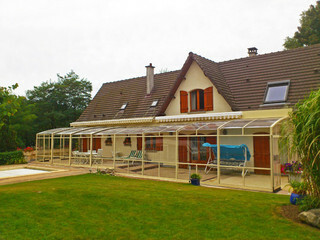 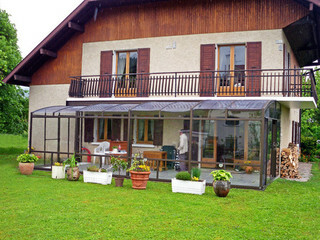 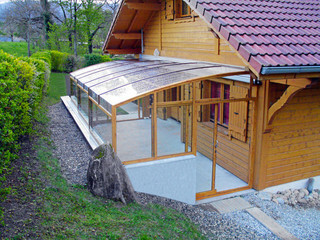 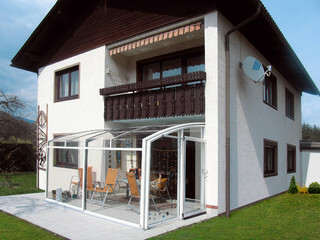 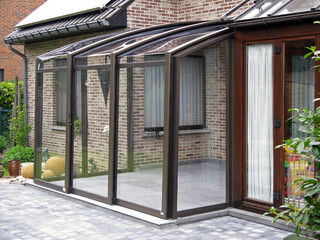 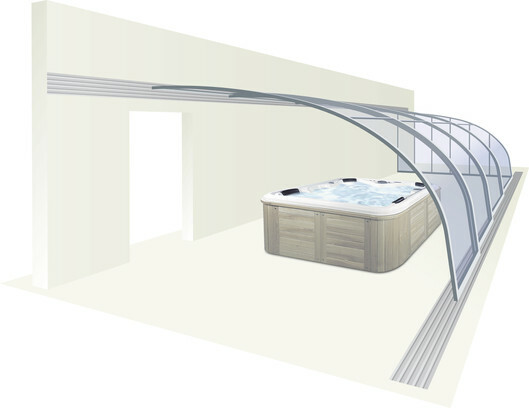 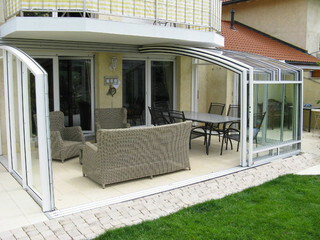 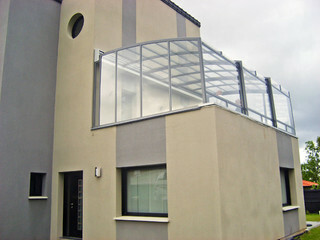 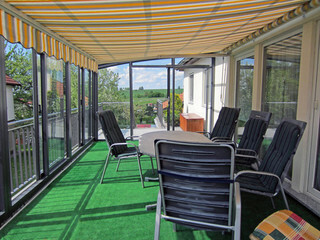 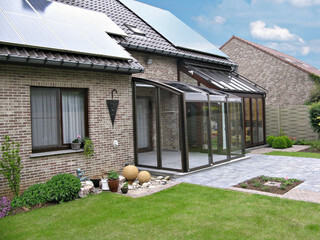 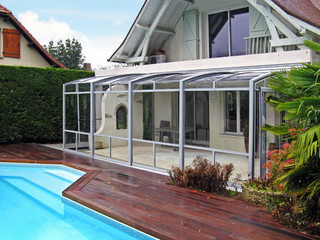 We also offer this patio cover in polycarbonate only version - patio cover CORSO Solid.